A catastrophic fire has engulfed Notre Dame cathedral in Paris, gutting and destroying the landmark’s spire, and stunning France and the world. Flames that began in the early evening burst through the roof of the centuries-old cathedral and engulfed the spire, which collapsed, quickly followed by the entire roof. However a French official and the Paris fire chief said they thought the iconic towers had been saved from the fire, and authorities said the cathedral’s structure was “saved from total destruction”. In honour of the great old Dame, we thought we’d give you a bit of a look into the spectacular cathedral and its iconic gargoyles. Notre-Dame Cathedral in Paris is celebrated as one of the most exquisite examples of Gothic architecture. Constructed in the Middle Ages, the church has welcomed worshippers and sightseers for centuries, inspiring awe with its sky-high spires, ethereal stained glass windows, and spell-binding sculptures. Among carved depictions of holy figures like saints and prophets, the cathedral’s exterior also features a menagerie of grotesques, stone creatures intended to protect the church from malevolent spirits. 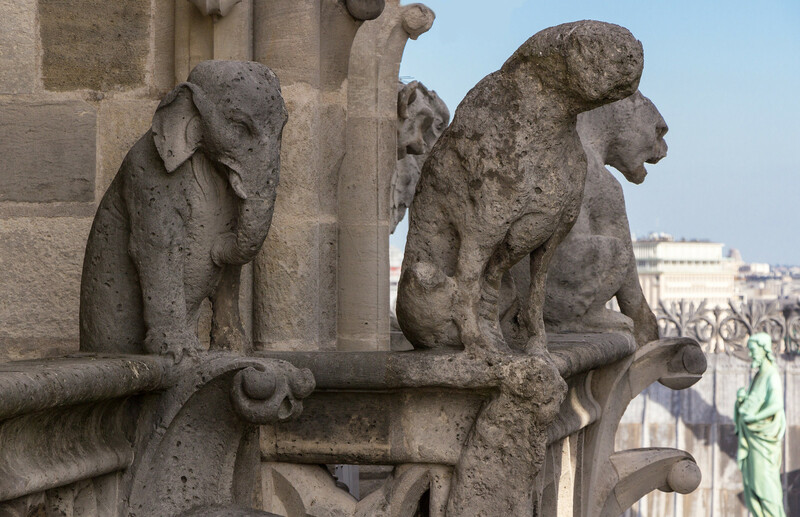 When these statues double as waterspouts, they’re known as gargoyles—though the popular term is often mistakenly applied to the entire grotesque family. 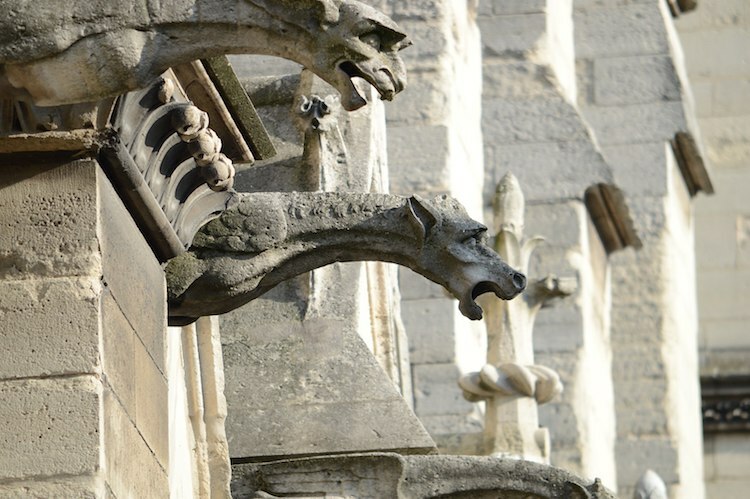 The grotesques of Notre-Dame, for example, include both functioning gargoyles and a curious collection of decorative sculptures called chimera. While the latter do not drain water, they’ve come to be known as “gargoyles,” and are arguably the cathedral’s most famous feature. 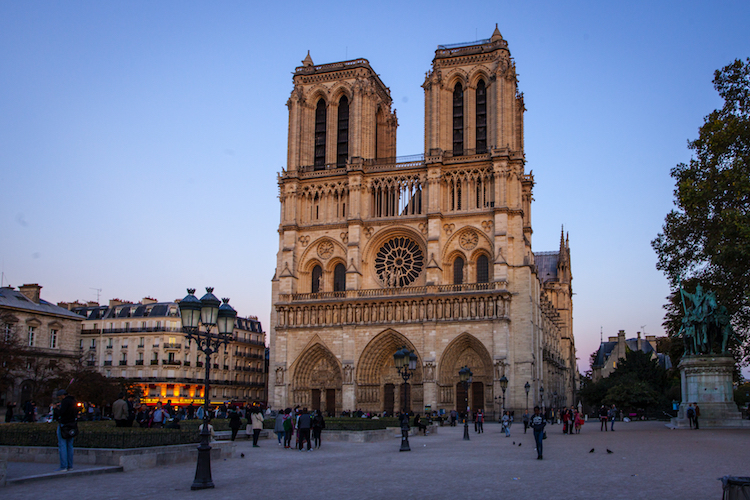 Under Bishop Maurice de Sully, Notre-Dame’s construction started in the 1160s and lasted nearly 200 years. 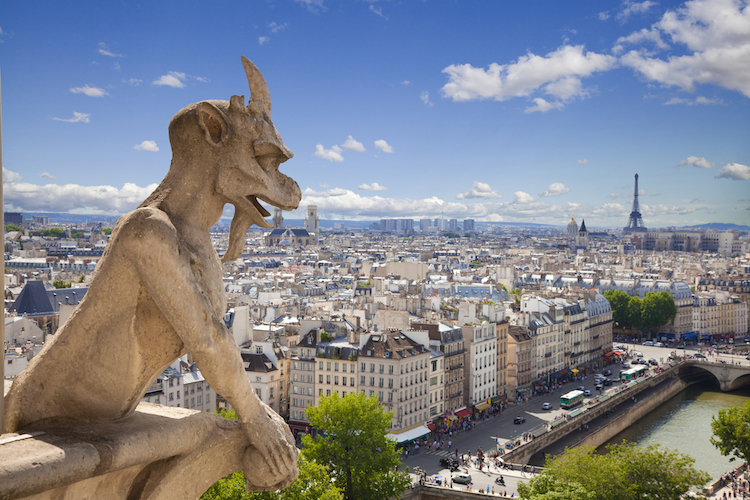 At the start of this endeavor, gargoyles were not a staple of French architecture. 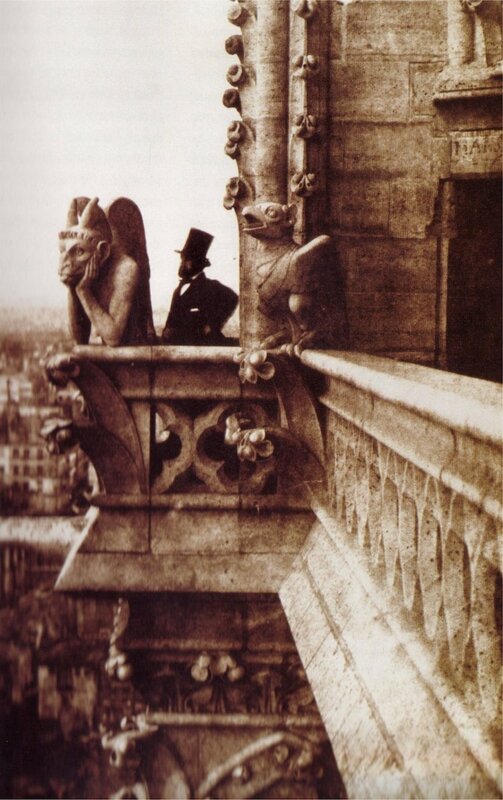 However, by the middle of the 13th century, the Gothic style was gaining popularity, with gargoyles at the forefront. Inspired by age-old models found on temples in Egypt, Rome, and Greece, architects began adorning their designs with gargoyles in the Middle Ages. 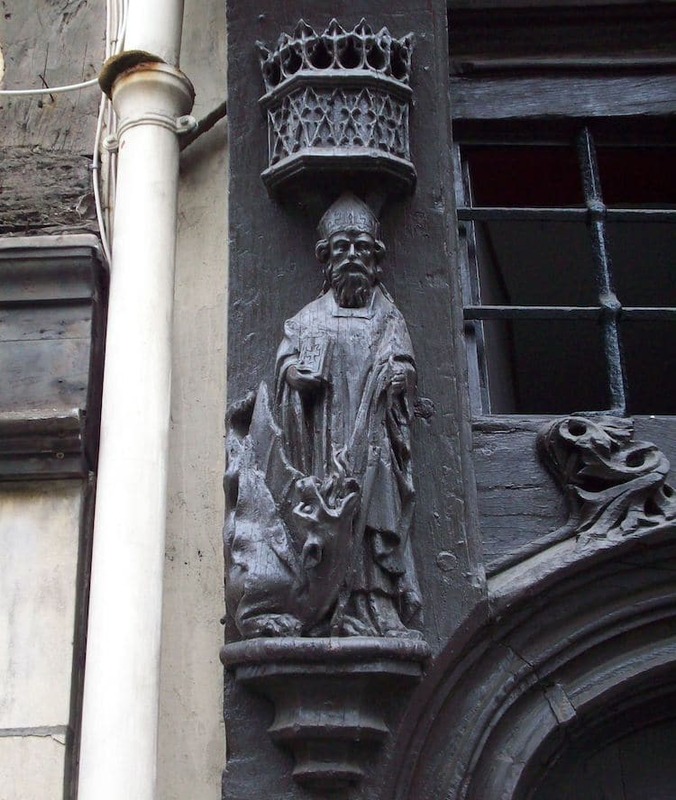 To reimagine this ancient concept, they looked to French folklore—namely, the 7th-century story of Saint Romain and La Gargouille, a fire-breathing monster whose head was nailed to a church to serve as a waterspout. As Gothic churches grew in size, so did their need for drainage systems. When paired with the increasingly superstitious nature of the contemporary Catholic church, this made gargoyles a perfect fit. 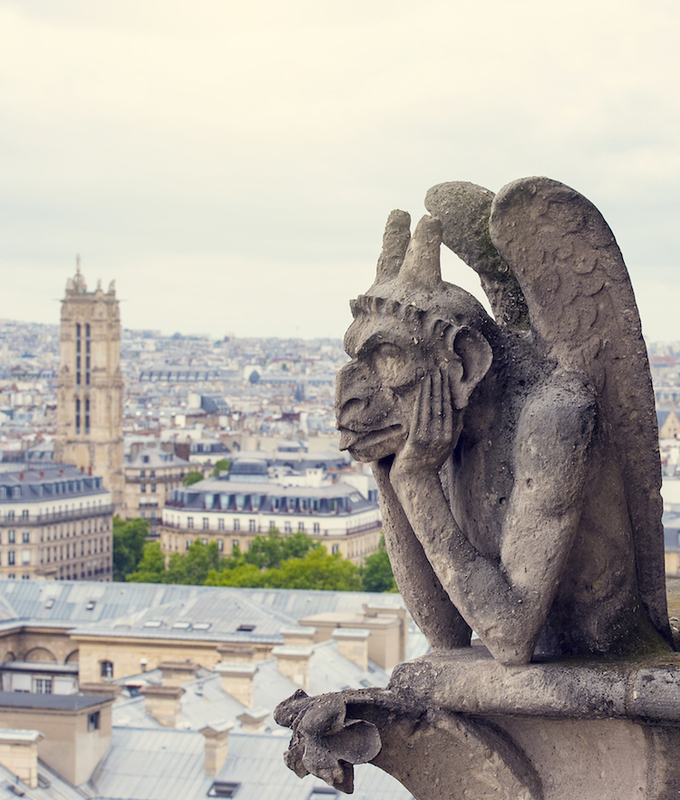 By the time Notre-Dame was finished in 1345, dozens of limestone gargoyles covered its exterior walls. Posing as both guardians and gutters, these creatures have a distinctive appearance, consisting of a hollow, streamlined body, a long neck, and and an expressive, animal-like head. Often, they also have feathered wings, prominent, pointed ears, and clawed limbs tucked close to their body. This approach and consequent aesthetic contrasts that of the chimera, which are strikingly individual—and seemingly irreplaceable. 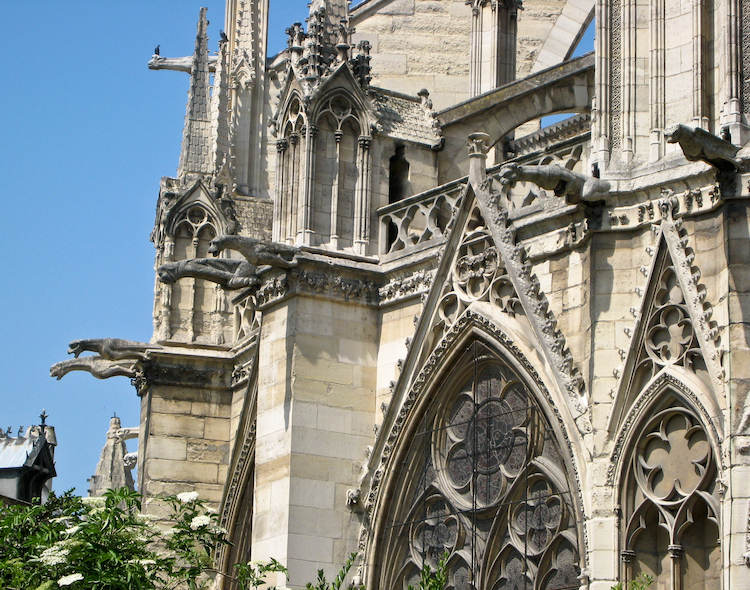 However, unlike the gargoyles, these sculptures are not an original fixture of Notre-Dame. In fact, contrary to popular belief, they don’t even date back to the Middle Ages; they were sculpted in the 19th century. In the 1800s, Notre-Dame was in crisis. Bored of the Gothic style and embracing Baroque architecture, Parisians all but petitioned for the crumbling cathedral’s demolition. Unlike the gargoyles, these statues do not protrude from the external walls. Instead, they line the Galerie des Chimères, a balcony that connects the two bell towers. From here, they peer over the balustrade, where they eerily keep watch over the city and adorn the cathedral with their one-of-a-kind silhouettes. 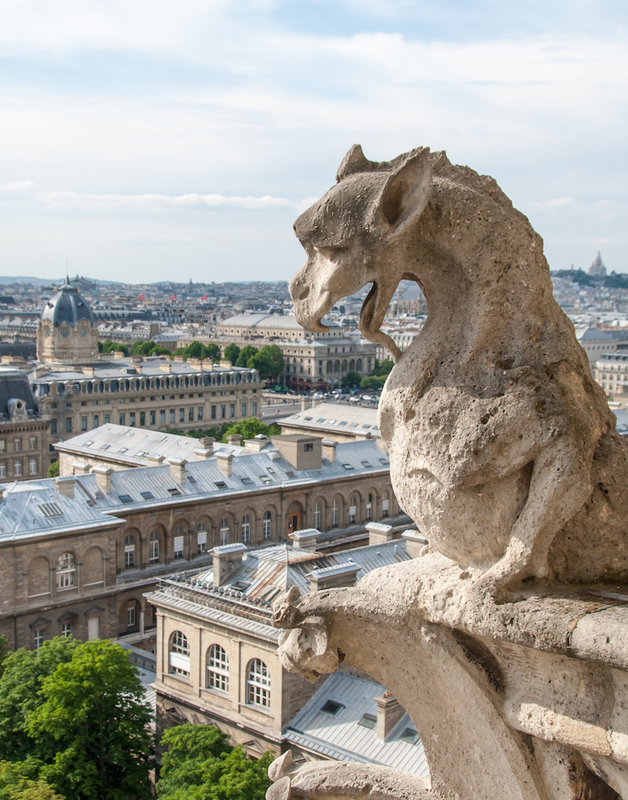 Notre-Dame’s collection of chimera includes frightening animals, fantastical hybrids, and mythical creatures. Due to their unique personas, two of the sculptures have adopted nicknames throughout the years: Wyvern, a two-legged winged dragon, and Stryga(also playfully known as “the Spitting Gargoyle”), a horned creature with his head in his hands and his tongue sticking out. Other famous—albeit nameless—characters include a one-horned demon, a goat-human hybrid, a plucky heron, and a not-so-scary elephant. 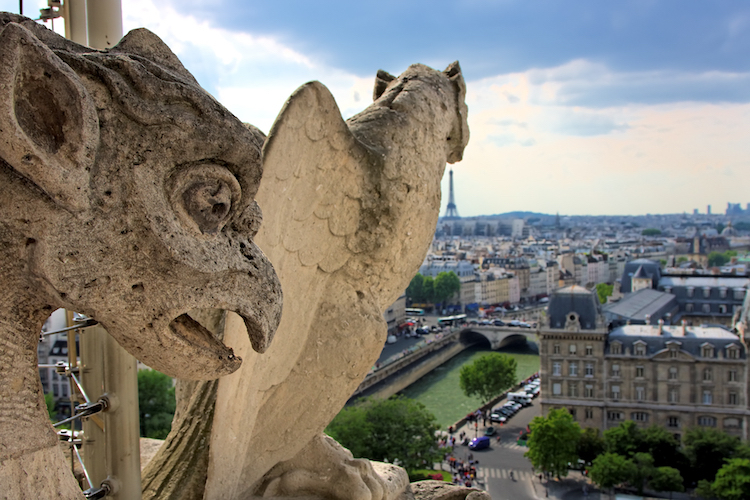 Today, visitors to Notre-Dame Cathedral can spot both the looming gargoyles and the perched chimera. For a better view of both genres of grotesques, curious guests can even ascend the towers and walk across the Galerie des Chimères. While this climb comprises 387 steps up two sets of spiral staircases, it will undoubtedly be worth it when you’re face-to-face with its famous dwellers.